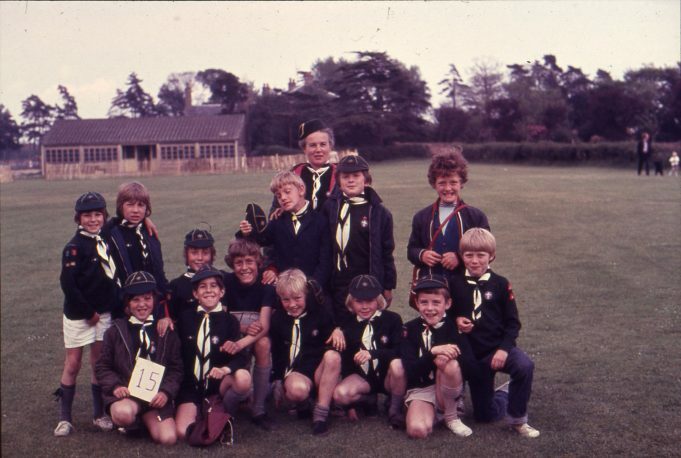 Kath Fisher leader, (Akala) of the Cubs was a keen and enthusiastic member of the Scout movement. She lived for her Cubs and taught them outdoor skills that many modern day boys miss out on. Many of her Cubs moved up to the Sea Scout section of the group when old enough. 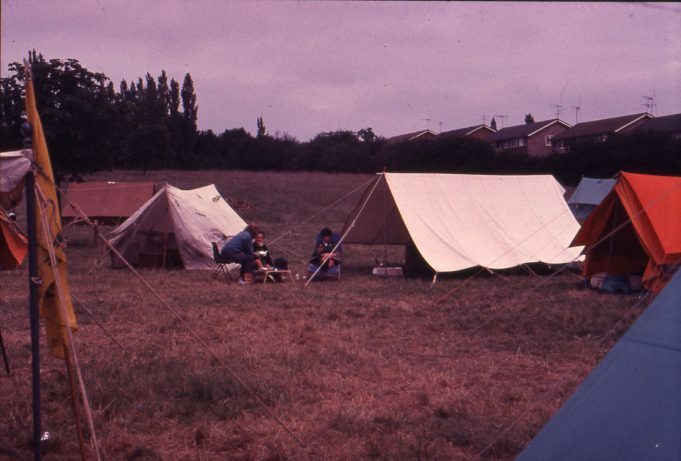 Kath was very keen on camping and used to take a Pack of Cubs to weekend camps at Belchamps, Hockley which was a Scout camp site and a training centre for Scout leaders. 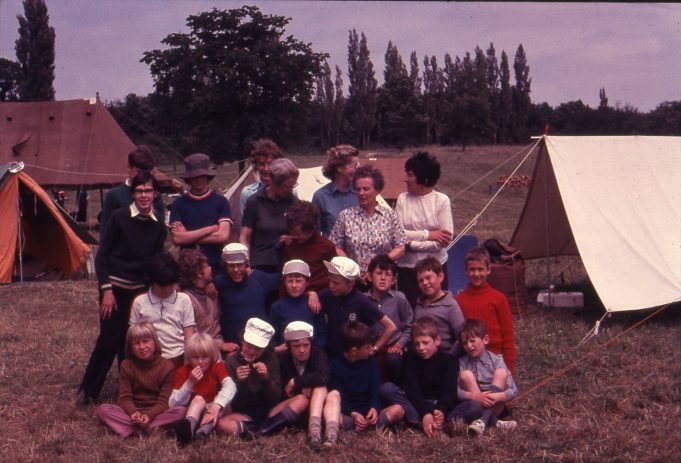 Some weekends Kath would bring the Cubs down to the Sea Scout H.Q. 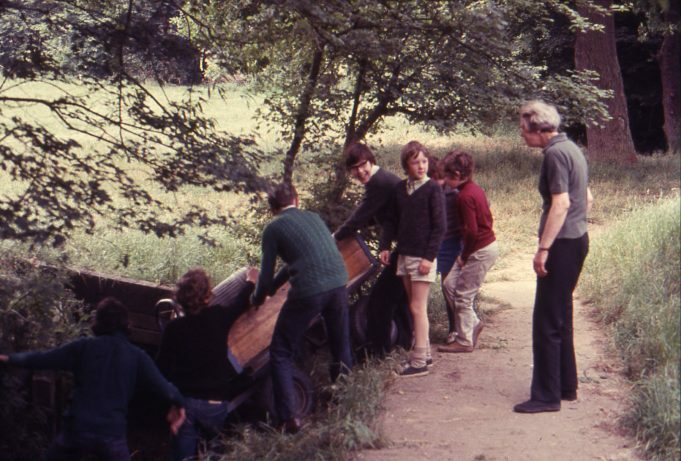 by Benfleet Creek to help out with boat maintenance; they were not allowed afloat. I was there happy memories!! I remember Peter Sutton. I am in the 3rd photo from the top next to the boy in white shorts. I think I have some photos from this camp. I was a sixer in red fang. There were 2 cub packs in the early seventies, Kath Fisher ran one, and my mother Marion Sutton ran the other, they both had names but they escape me! I am in the above picture, top left with the fashionable blue roll neck jumper on! It’s a long long time ago but I still remember those days. 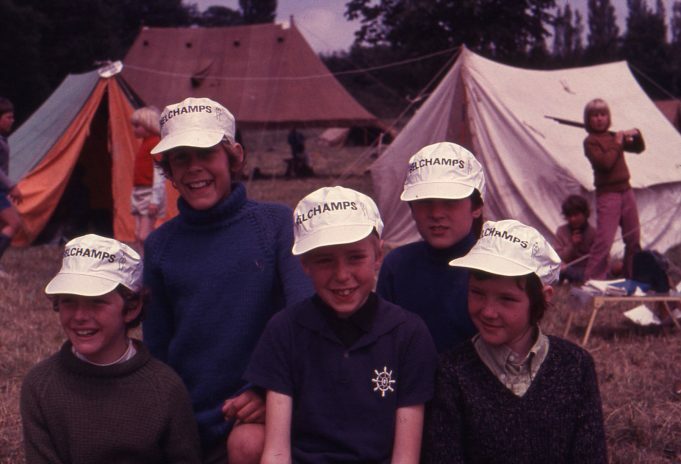 The cub squinting in the middle of the picture above wearing the T-shirt with the ships wheel is me! 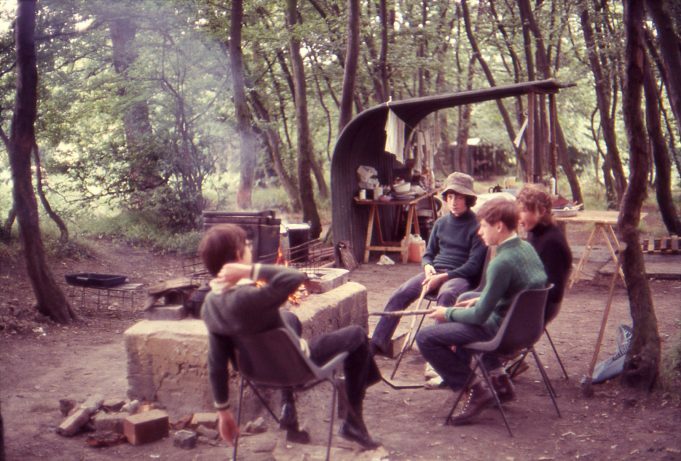 I progressed on to the scouts where more memories were made. The comment above from Alan Graham who is my cousin and Dorothy is my Auntie. My mother, Dorothy Graham, took over the cubs from Kath Fisher in the mid to late 1970’s.